The processes of complexation of diphilic macromolecules with high molecular acids in recent years have moved into a separate and rapidly developing direction of the chemistry of polymers. Of particular interest are complexes based on nonionic thermosensitive copolymers and polycarboxylic acids, which acquire properties significantly different from those of the original components. In this regard, studies related to the establishment of complex-forming and surface-active behavior of non-ionic polymers with thermoregulated characteristics, acquires a particular urgency, both scientifically and in practice. In the preparation of copolymers of a linear structure by the radical polymerization method, the samples were crosslinked after traditional planting and drying, and for this reason the method for the first time used the method of removal from unreacted monomers and oligomers by a dialysis membrane and dried samples by the lyophilic dryer. The study also investigated the establishment of the main regularities of synthesis and intermacromolecular reactions of heat-sensitive, proton acceptor copolymers based on 2-hydroxyethyl acrylate (HEA) and ethyl acrylate (EA) with proton-donor polycarboxylic acids. Using the turbidimetry method, it was possible to show that the mutual transition of the hydrophobic complex-hydrophilic associate can be initiated not only by changing the pH, but also by varying the concentration of the solution. A whole layer of new interesting data has been obtained on the features of the effect of complexation on the thermosensitive properties of diphilic macromolecules. The set of the obtained data allowed to describe in more detail and demonstrate the scheme of mutual transitions hydrophobic complex-hydrophilic associate-noninteracting macromolecule depending on pH. AZHKEYEVA, Aiganym et al. Complexation of new linear copolymers based on ethyl acrylate. International Journal of Biology and Chemistry, [S.l. ], v. 11, n. 1, p. 163-168, aug. 2018. ISSN 2409-370X. Available at: <http://ijbch.kaznu.kz/index.php/kaznu/article/view/300>. Date accessed: 24 apr. 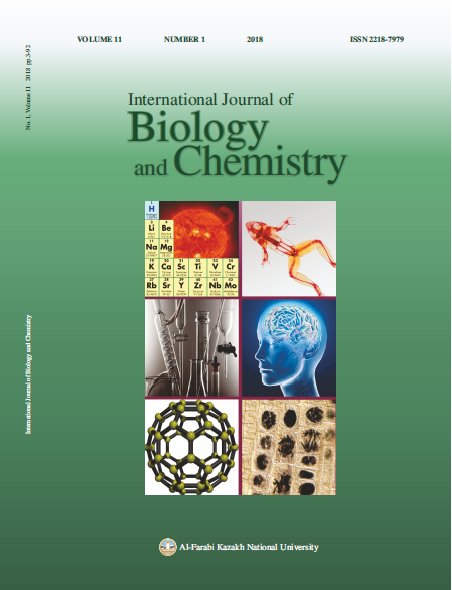 2019. doi: https://doi.org/10.26577/ijbch-2018-1-300.